OTTAWA – The Ottawa Senators used the most effective penalty-killing strategy possible against the Winnipeg Jets to match their longest winning streak of the season. Zack Smith and Clarke MacArthur scored third-period goals, and Ottawa did not allow a Winnipeg power play as it held on to extend its winning streak to three games with a 4-3 victory against the Jets on Thursday. Mika Zibanejad had a goal and an assist, and Milan Michalek scored for the Senators, who won three in a row from Nov. 5-9. 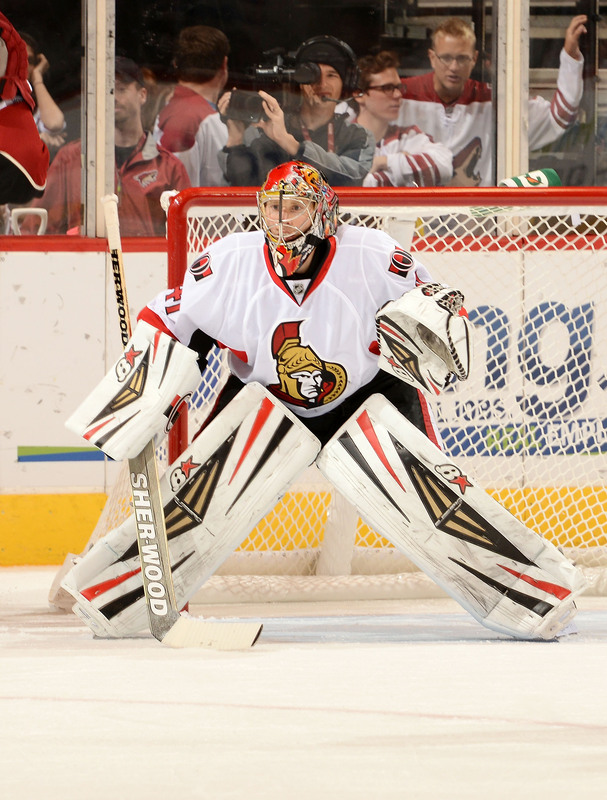 Craig Anderson stopped 32 shots to win his fourth in a row. Cory Conacher had two assists for Ottawa (18-18-7). Winnipeg’s Dustin Byfuglien scored in the first period and assisted on Olli Jokinen‘s goal at 14:31 of the third that drew the Jets within 4-3. Jokinen scored two seconds after roughing minors to Conacher and Winnipeg’s Jacob Trouba expired. Ottawa had seven minutes in penalties, including Matt Kassian‘s major for fighting with Anthony Peluso at 9:30 of the first period. Evander Kane scored for Winnipeg, which saw its winning streak end at three games despite erasing deficits of 1-0 and 2-1. Winnipeg goalie Al Montoya, playing his fourth game in a row, made 25 saves. Montoya stopped 27 shots Tuesday for his second shutout of the season, a 3-0 victory against the Buffalo Sabres. Smith scored his ninth goal at 6:42 of the third period to give Ottawa its third one-goal lead. After winning a faceoff in Winnipeg’s zone and drawing the puck back to the left point, Smith deflected defenseman Marc Methot‘s shot past Montoya to make it 3-2 with his fourth goal in six games. MacArthur made it 4-2 at 11:29 with his 13th goal, his second in as many games. Jokinen scored when he put home a centering pass from Byfuglien for his 10th goal. Zibanejad put Ottawa up 1-0 when he scored his 10th goal at 13:34 of the first period. Byfuglien got credit for tying the game when his shot from right point struck Ottawa defenseman Joe Corvo‘s stick and deflected past Anderson at 15:37. Michalek restored Ottawa’s one-goal lead at 2-1 when he scored for the first time in seven games with 46.4 seconds remaining in the first period. Kane drew Winnipeg even for the second time with his 12th goal at 1:32 of the second period. He banked a shot from behind the net off Anderson’s backside for his fifth goal in his past nine games. Peluso pulled the puck around Anderson for an opportunity at a wide-open net midway through the second, but his shot struck the crossbar. Senators captain Jason Spezza missed his third game in a row because of a hip-flexor injury. Ottawa defenseman Chris Phillips returned after missing two games because of a left-foot injury. Ottawa begins a four-game road trip against the Montreal Canadiens on Saturday. Winnipeg plays the second game of its three-game trip Saturday against the Boston Bruins.